Scanographic fine art offers a visually striking quality that cannot be replicated by photography. It invites the viewer's eyes to linger and to take-in the hidden beauty and macroscopic detail that is made visible due to the soft, luminescent light of the scanner. The images elicit instant interest, and lead people like us to engage in conversations and ask many questions. 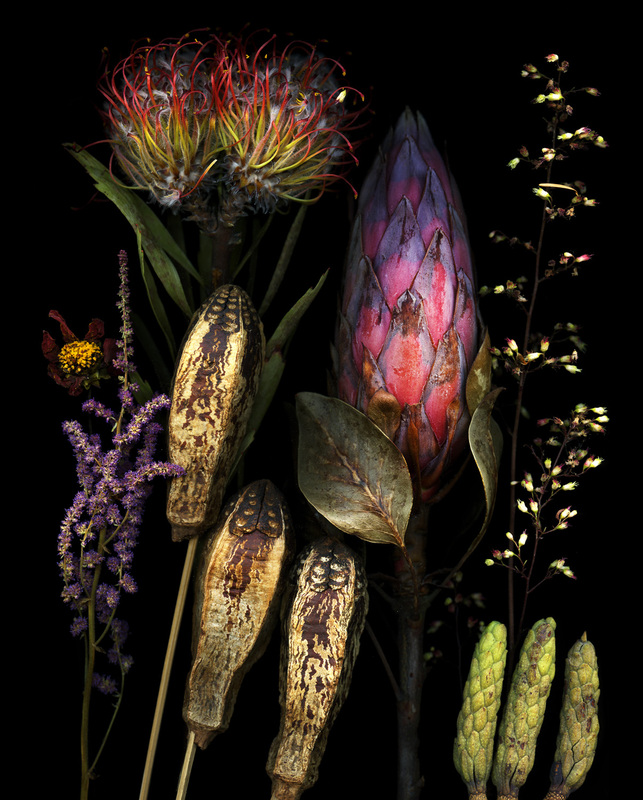 At the core of what many art lovers find so appealing is a marriage of two processes working together in perfect harmony: These are scanographic compositions of natural botanical objects and a special printing method known as dye sublimation which allows us to print on aluminum*. This process begins with printing dyes onto a special transfer paper. This paper is placed onto a sheet of aluminum that is covered with a clear polymer coating. These are then put into a heat press. When sufficient heat and pressure are applied, something magic happens. The sublimation dyes convert to a gas which infuses itself through the polymer coating and bonds with the aluminum substrate. This results in a "must-be-seen-in-person" impression that so many people describe as "backlit", while at the same time retaining the dignified feeling of a classically illuminated still life. We invite you to read more, if you are inclined, on our blog about the Pro’s and Cons of the scanographic process; various Q&A's; a Perfect Marriage between a scanner and dye-sublimination prints, and about the amazing durability that lab tests report of our superior Archival Longevity. * Because the usual pigment inks consist of liquids they will not be absorbed into a metallic surface and so a very different approach needs to be taken.